Evidence Based. Systematic. Transparent. Liquid. Atlas Capital Advisors is an independent, S.E.C. registered investment advisor based in San Francisco. We provide customized investment solutions that deliver performance at a reasonable price. 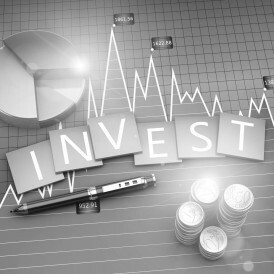 Our systematic investment approach is grounded in academic and proprietary research. We emphasize strong risk management and capital preservation. Our clients compensate us on a fee-only basis. Any sound individual financial strategy requires client discussion before developing an implementation plan. 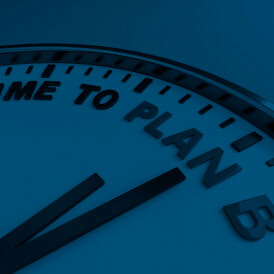 Together, we create your unique Investment Policy Statement after a full understanding of your risk tolerances, investment objectives, aggregate wealth and income, as well as current risks to your goals. 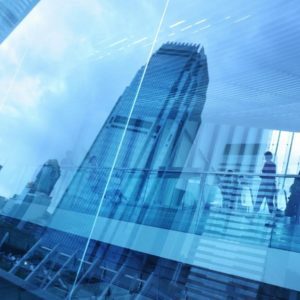 The Atlas asset allocation approach is based on techniques developed by some of the country’s largest and most sophisticated institutional investors. 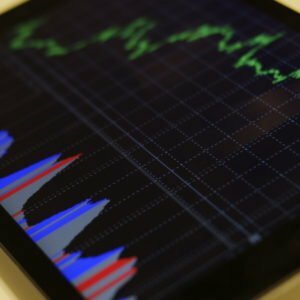 Atlas uses this experience, academic research and continuing proprietary research to create a dynamic, market aware, diversified asset allocation approach. 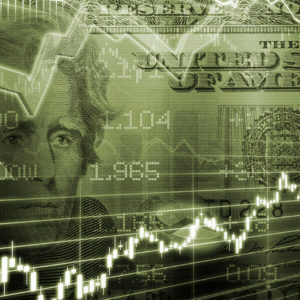 We provide equity, fixed income, balanced, futures and currency management through customized separate accounts. 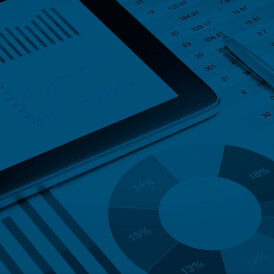 We can be turn key service providers through our various investment strategies or comprehensive capital managers using our proprietary asset allocation models. Risk to achieving your financial objectives can take many forms and may not be limited to Atlas managed portfolios. Our partners have extensive experience managing risk for individuals and institutions. We offer tax efficient solutions to reduce benchmark, asset/liability, market, interest rate and currency risks. Please contact us! Concentrated holdings exposure increases aggregate wealth risk. Such exposures include company stock held by executives, employee stock options, legacy low cost single equity positions, or any asset class that is heavily overweight and can’t be efficiently sold. Atlas is proficient at helping clients manage this unique risk. People that contribute to Atlas Capital Advisors' Success. 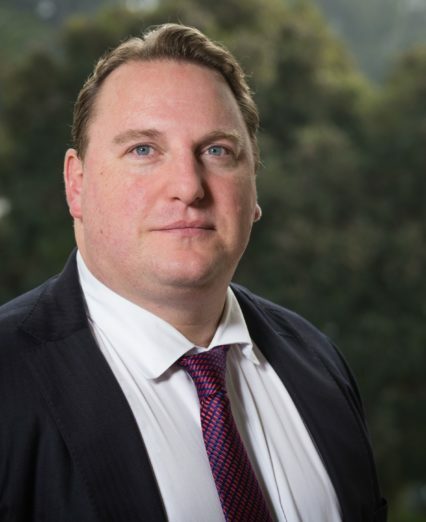 Atlas founder, Jonathan (Jono) Tunney, brings deep and broad expertise to bear on global economic analysis, asset allocation, business valuation, portfolio design, and risk management. His experience includes responsibility for worldwide currency risk management and more than $100 billion in annual foreign exchange transactions as Director of Foreign Exchange for Hewlett Packard. 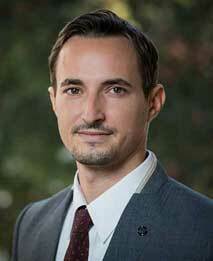 He holds a BA in Economics and Political Science from Stanford University, an MBA in Finance from the Anderson School at UCLA, and the Chartered Financial Analyst designation. Albert J. Gutierrez has been at Atlas since 2010 and has over 30 years of extensive capital markets experience including several executive positions at multi-billion dollar institutional investment advisers. Bert was Chief investment Officer at SCM Advisors, EVP of portfolio management and trading at American General Investment Management, and SVP responsible for research, trading and insurance asset management at Conseco Capital Management. He holds a BS in Economics, The Wharton School, University of Pennsylvania and a Chartered Financial Analyst designation. 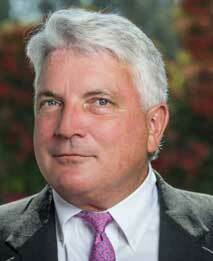 William Preston Raisin joined Atlas Capital as partner in September 2011. He has over 30 years of capital markets and money management experience. Preston began his career building a book of high net worth clients for Shearson Lehman Brothers in 1986 through 1988, and then spent four intensive years managing money under the Donaldson, Lufkin and Jenrette research platform. He joined First Boston in 1992 and subsequently moved to Bear Stearns in 1995 where he managed a proprietary fund and became one of the firm's youngest partners. Preston holds a B.A. in English Literature from UCLA. Mike has over 12 years of experience developing computer systems for risk management, portfolio optimization, back-testing, and trading applications used by hedge funds and registered investment advisers. He previously worked at Evolution Capital Management, an Asian multi-strategy hedge fund. Mike holds a BS in Business Administration and Computing Science from Simon Fraser University and a Chartered Financial Analyst designation. Jocelyn Doe joined Atlas in 2016 with 25 years of finance and investment experience. She led an outsourced CIO team to serve multi-national tech entrepreneurs at The Presidio Group and helped launch the Silicon Valley office of JPMorgan private banking. Prior to managing private capital, Jocelyn was an investment banker at Morgan Stanley & Co. and Lehman Brothers Inc. advising technology companies in Silicon Valley, New York, and Hong Kong. She graduated with an A.B. in Economics and Political Science from Stanford University and a MBA from the Anderson School at UCLA. Taylor is a managing Director of Business Development. 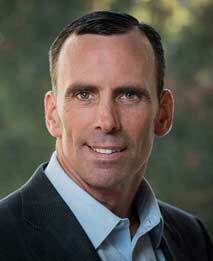 Taylor has 25 years of Capital Markets experience. He has spent a majority of his career as a Senior Portfolio Manager in Convertible Arbitrage and Derivative Strategies. 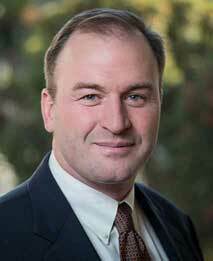 He has extensive experience in portfolio management, risk analysis, financial modeling, and trading. He has worked at Wedbush Securities, The Royal Bank of Canada, US Bancorp Piper Jaffray, Banc of America, and UBS Securities. Taylor holds a BS in Finance from Villanova School of Business. 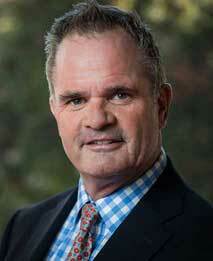 Peter has over 34 years of capital markets experience in both trading and sales. He began his career at Shearson Lehman Brothers as a financial consultant. Peter later helped find the investment banking firm Pacific Growth Equities in San Francisco which was acquired by Wedbush Securities in 2009. He subsequently worked for Emerging Growth Equites as the head of west coast sales before he joined Atlas. Peter holds a BS in Marketing from San Diego State University. Stephen Pijas has over 19 years of industry experience. 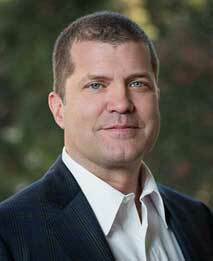 He holds a BA from University of California at Berkeley and a Juris Doctor from USF Law School. He has worked with numerous leading financial companies on an institutional basis, as well as advising individuals on how to manage their personal wealth. He began his financial career with Nueberger Berman and Lehman Brothers. 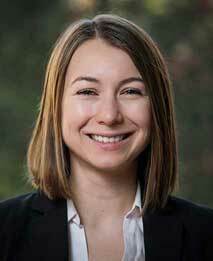 Katya joined Atlas in 2013 as a financial analyst. She holds a BA in Business Administration and finance from European University in Switzerland, an MS in Economics from Fordham University, New York. She previously worked at Guatemalan Universidad Francisco Marroquín as a data researcher and as a CRM analyst at Cartier. 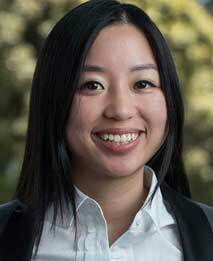 Lillian Tang joined Atlas Capital in 2016 as a financial analyst. 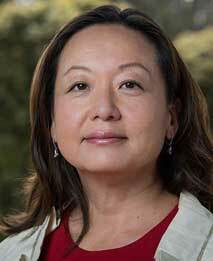 She holds a BA in Legal Studies from UC Berkeley, and she recently completed the 12 month Management and Business Track with a concentration in Finance from Berkeley as well. She previously worked at GSVlabs, a startup accelerator, as a research analyst. Do current market conditions favor a relatively high, or relatively low, portfolio allocation to public equities? How should equity investments be allocated across geographies? What’s a good way to avoid being harmed by the periodic severe bear markets experienced by equity investors? Asset allocation is the most important decision one can make as an investor. Each quarter, Atlas Capital Advisors updates estimates of the expected returns of each asset class, and adjusts allocations accordingly. We make these decisions in a systematic repeatable way using approaches grounded in academic evidence. We are fundamental investors. We seek to increase weights in asset classes that are attractively priced, and reduce weights in those that are not. Attractively priced asset categories, with higher expected returns, have “good value” in our terminology. The global capitalization weighted equity index (FTSE World net of tax) was down 0.62% in June 2016. GDP strategy performance net of fees in June was up 0.53%, 1.15% ahead of the index. From strategy inception on July 9, 2015 through the end of June 2016, the GDP strategy has a loss of 9.18%, net of fees. That is 4.88% below the loss of 4.30% for the global equity index over the same period. 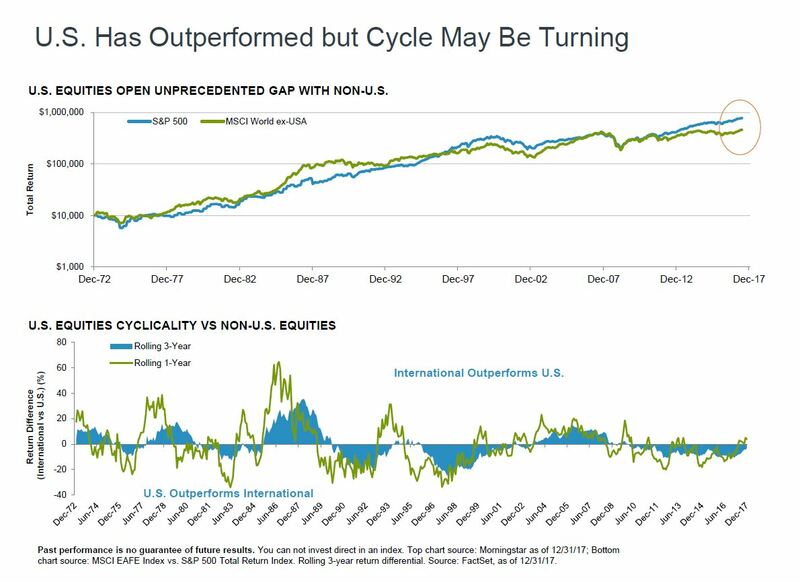 The underperformance since inception is primarily the result of the low weight in equities after the January downturn, which limited participation in the sharp rebound of the global equities market which ran from mid-February to April. The GDP strategy went into June with 74% of the portfolio in the stock market. The choice by voters in the United Kingdom to exit the European Union (“Brexit”) roiled markets toward the end of the month. By June 27, the Monday after the vote, global stocks were off 5.5% for the month, with GDP off half as much at 2.7%. Global stocks then recovered almost all of that loss by June 30. –The overweight to Brazil. Brazil has a multitude of problems, just ahead of hosting the summer Olympic games, but nonetheless Brazilian stocks rocketed up 19.5% in June. Most of the gain was from a 12.4% rise in the Brazilian currency, which rallied on improved current account balances. –The overweight to the US Telecom and Utilities sectors, each of which gained over 7% in June as investors sought “safe haven” assets. The evidence for making investment decisions in alignment with value is robust. On average, based on data since 1980, the annual return of single country stock markets with the top third most attractive valuations outperform the bottom third by 5% per year. We also use price trends as a catalyst for determining when to enter positions. Through long experience in the markets, we have repeatedly seen asset classes that appear to have strong value characteristics continue to get cheaper. Many of the emerging equity markets have had this characteristic in the last five years. We have learned that it is better in the long run to wait for cheap asset classes to start rising in price before committing to an overweight. Similarly, it’s better to wait for expensive asset classes to start falling in price before moving to an underweight. The evidence to consider trend is also strong. For instance, in stock market history, the future return tends to be better if the past return is positive than if it is negative. On average, if the past 6 – 12 month stock market return is positive, the next quarter return is 1.5% to 2.0% higher than if the prior 6 – 12 month return is negative. If you have any questions about our products or services, please contact us! Below are some additional slides that we found in a recent Fidelity Investments slide deck. The information correlates perfectly with the our investment thinking. • Overweight Value, Underweight Growth. Most global benchmark indices are flat or down for the year with the tech heavy NASDAQ Composite markedly in positive territory. 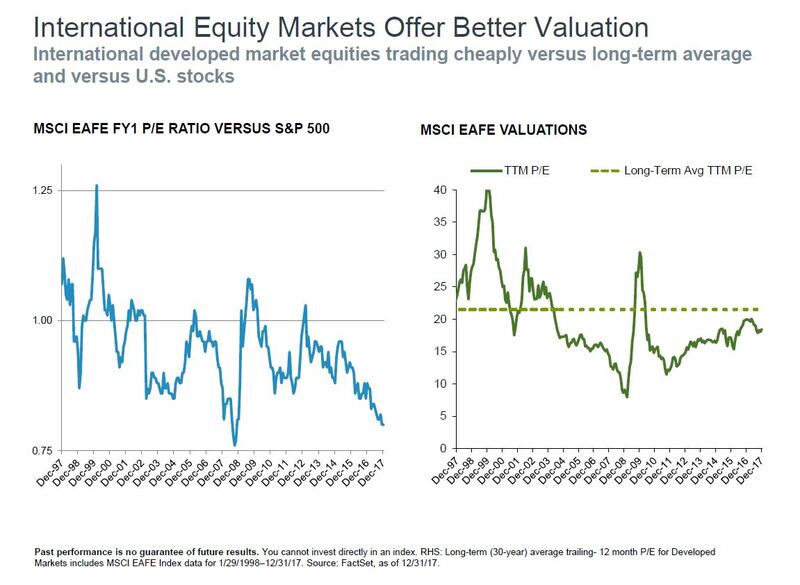 Relative valuations still favor increased international exposures at the expense US equities. 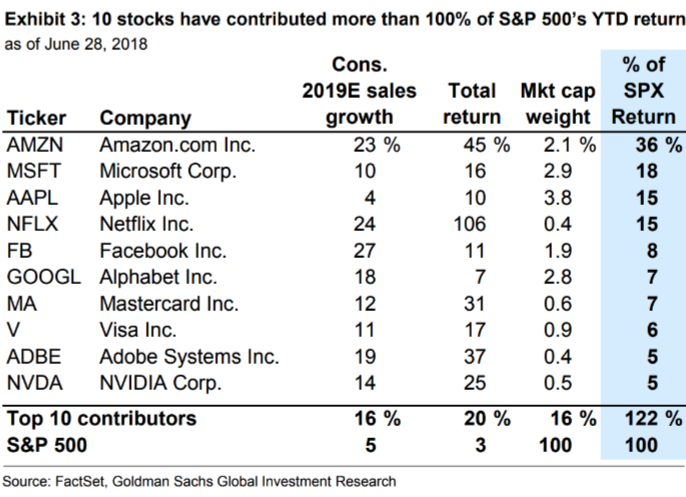 In fact, a close analysis of S&P 500 performance shows the benchmark’s YTD positive showing has been driven by just 10 stocks (See graphic below). 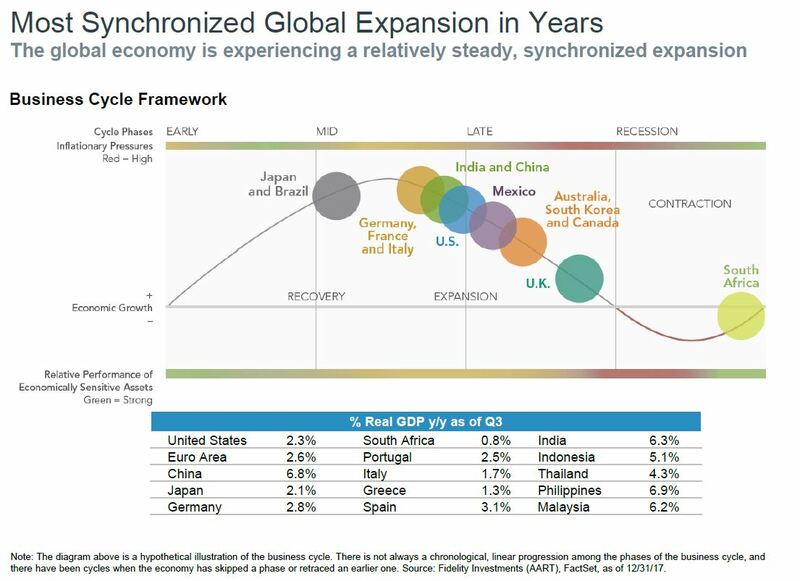 As always, we emphasize diversification to mitigate risks in these uncertain times. Absent these 10 stocks (image below), the S&P500 is down on the year. Through the 1st half of 2018, S&P500 performance has been entirely driven by only 2% of the index’s stocks. Five of the top 6 stocks comprise the darling FAANG index. As expected, these stocks exhibit fair to good Momentum scores. However, all except AAPL and NVDA, score poorly for Value metrics like Price/Book, Price/Earnings and Price/FreeCashFlow. Considering recent outperformance of ‘growth’ investment style, we thought it topical to review the merits of a value investment style over the long term. 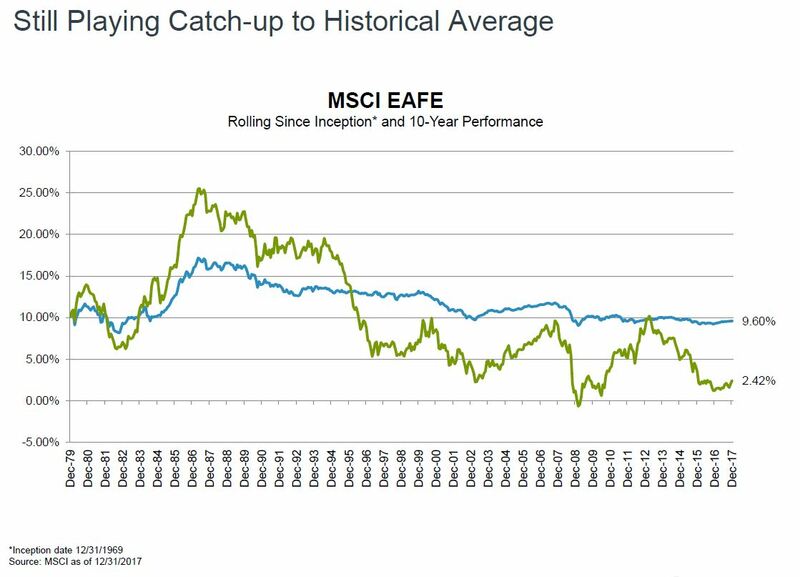 Both empirically and intuitively, value should outperform growth over long period of time but as you can see from the link to a Fidelity article on this subject, the most recent 5 year period has grown outperforming value by more than 2.0% per year. This has been a drag on Atlas relative performance over this period. Below is our current analysis of market opportunities and how we are positioning portfolios. We would be glad to discuss or answer any questions. The chart below shows our current evaluation of the sector choices available to US equity investors. This evaluation drives our allocation decisions. 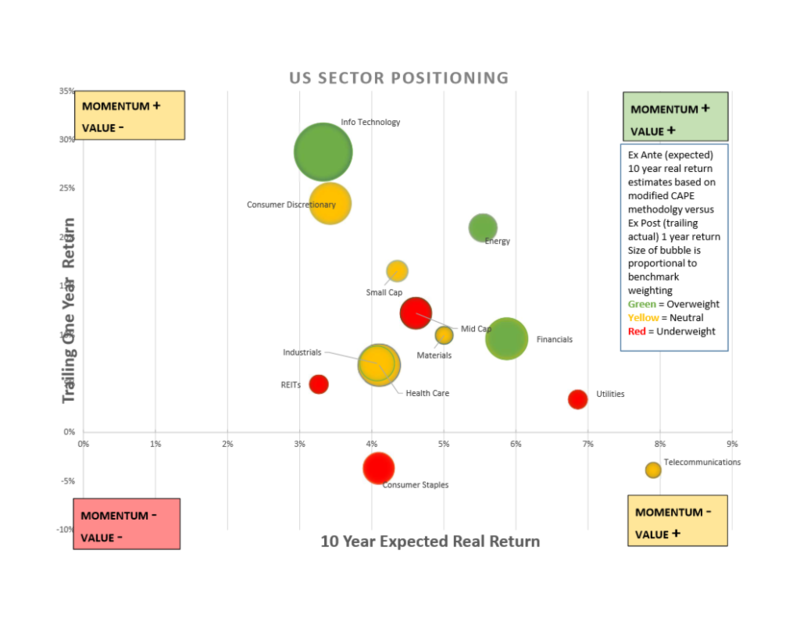 Markets which appear most attractive for investment are in the upper right. Those sectors that have both good value and positive momentum. Future real returns based on historical value norms are unappealing. Consumer Staples, Utilities, and Real Estate underweight based on valuation. Overweight Financials and because of reasonable value. Info Tech and Consumer Discretionary overweight based on Momentum. Neutral-weight Small Cap, Underweight Mid Cap. Atlas portfolios in relation to the weights of the benchmark global equity index are depicted below. 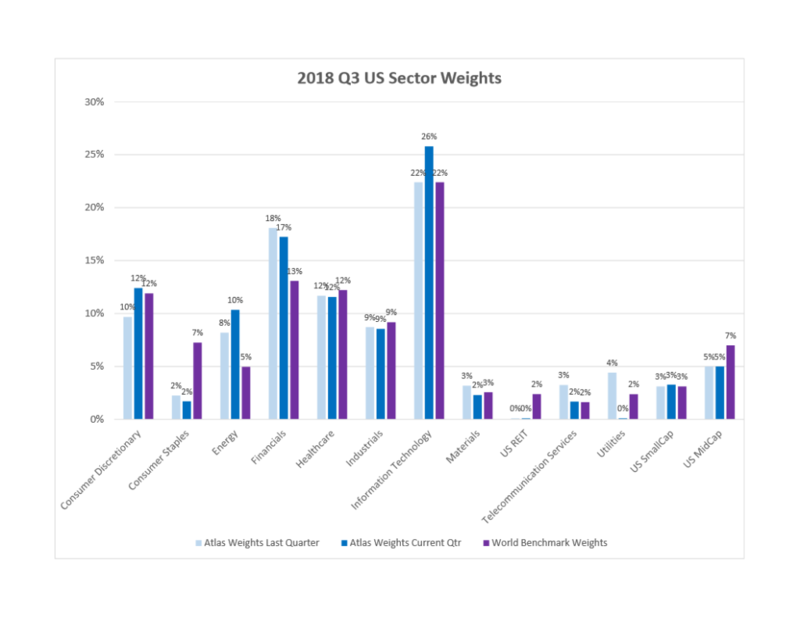 The weighting preferences continued the trend we’ve implement most of the 30 months; reduced US exposure and increasing International weightings. 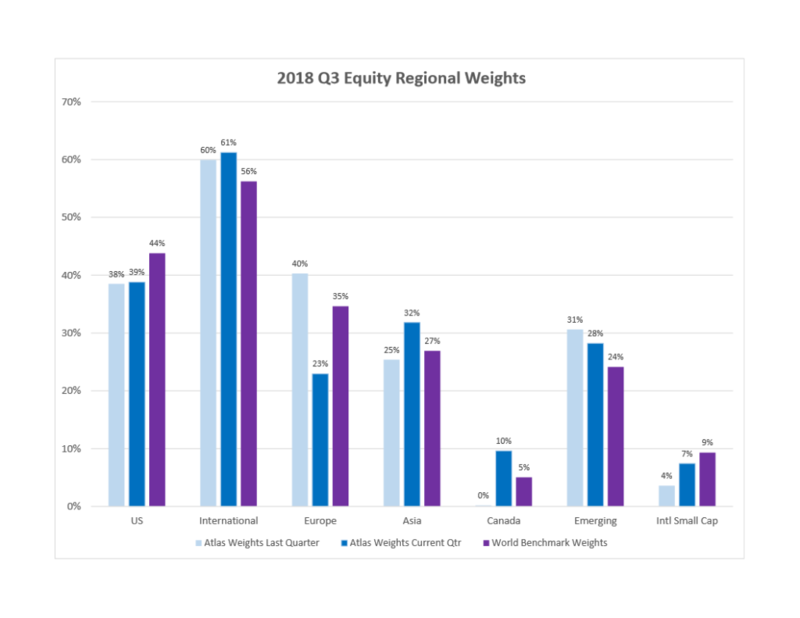 We’re underweight US equities versus both benchmark and International equities. Within International, we are overweight Asia, Canada and Emerging Markets while underweight Europe and Small Cap. We believe the information provided herein is reliable but should not be assumed to be accurate or complete. The strategies described may not be suitable for all investors and may not be appropriate at all times. Performance is for selected portfolios, while individual investment performance is dependent upon the portfolio(s) of investment. The partners and associates of Atlas Capital Advisors are investors in Atlas portfolios. Past performance is not a guarantee of future performance. Opinions and statements are based on current market conditions as of the date of publication and are subject to change without notice. Nothing in this presentation should be construed as a solicitation to buy or sell securities. Atlas Capital Advisors LLC is an independently owned SEC registered investment advisor. 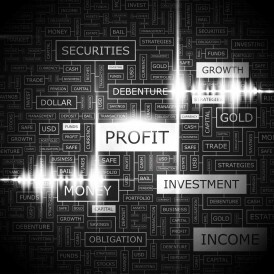 The firm manages client portfolios across a variety of asset classes including equities, bonds, currencies and derivatives. 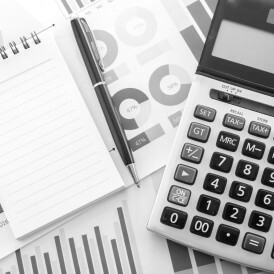 All client portfolios are separately managed in a variety of investment strategies. Atlas Capital Advisors LLC claims compliance with the Global Investment Performance Standards and a GIPS® compliant presentation is available upon request. "I believe in evidence. I believe in observation, measurement, and reasoning, confirmed by independent observers - Isaac Asimov, The Roving Mind"